The changing situation on the ground in Aleppo seems to be moving other world powers closer to Moscow’s position on Syria and away from supporting the rebels. China unexpectedly joined Russia in blocking a new UN Security Council Resolution on a ceasefire in Aleppo, giving Russian and Syrian government forces an unexpected boost as they push to take new districts of the beleaguered city. The vote on the UN Security Council Resolution on Dec. 5 was the sixth vote that Moscow has blocked with a veto since the beginning of the conflict in Syria. This vote, however, can be considered a watershed moment in the international diplomatic battles over how to respond to the country’s civil war. Unlike the most recent vote on Syria at the UN Security Council, which took place in October and was vetoed only by Russia, this time there was a double veto against the request to pause the actions of government troops in Aleppo for a week. China's Permanent Representative to the UN, Liu Jieyi, explained Beijing's reasons for the veto, saying that the proposed resolution splits world powers and does not promote diplomatic regulation, while the Security Council's role is to "preserve unity around the Syrian issue, speak with one voice and work together." China’s veto was not the only diplomatic success for Moscow in the vote on the resolution. Venezuela also voted against the proposal and Angola abstained. More importantly, Egypt, which was one of the authors of the resolution project, put the blame for the failure of the resolution to move forward not on the vetoing countries, but on its supporters. Commenting on the double veto, the Egyptian Foreign Ministry offered a statement expressing regret that, "several member states insisted on proposing the project for a vote in the form that was not approved by all countries." Russian Permanent Representative to the UN Vitaly Churkin noted that the resolution project had been distributed only several hours before the vote. The Egyptian statement confirmed the fact that Cairo has distanced itself from the West and the Persian Gulf monarchies over the past months, moving its position closer to that of Russia and Iran. This change in the positions of both global and regional players can be explained by the situation in Aleppo. 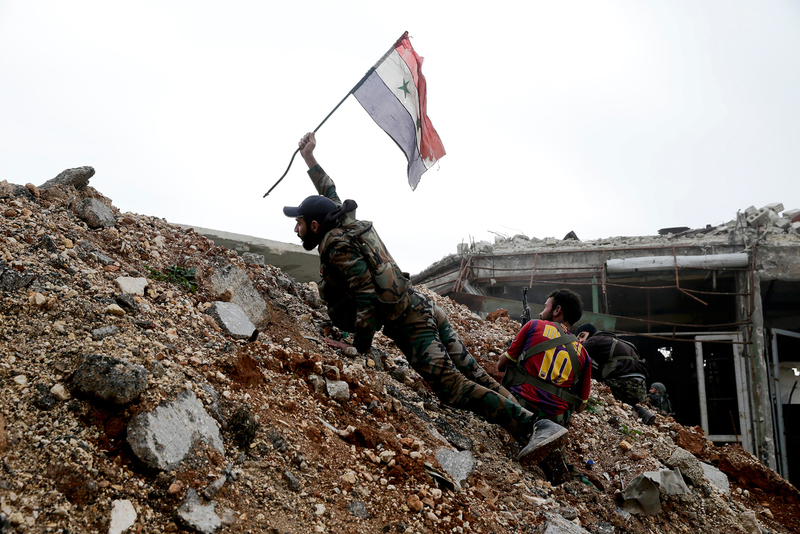 The operation by the Syrian Army and its Russian allies aimed at taking the second largest city in the country is coming to an end. Since Nov. 15, when the offensive in eastern Aleppo began, opposition forces have lost about 70 percent of their territory in that area. On Dec. 6, government forces announced that they had taken another five districts in eastern Aleppo, including al-Shaar — the most populated part of the city and a key zone for the offensive. According to the Arabic-language press, the commanders of several opposition units are trying to establish contact with representatives of the Syrian command to discuss the possibility of evacuating the militants and their families from Aleppo. Such a move would be similar to how the sieges of other cities controlled by enemies of the government ended in the past, including Hama, Homs and the suburbs of Damascus. "The fact that Russia blocked the UN Security Council resolution project, in the form it was, is completely natural," said Vladimir Sotnikov, director of the Russia-East-West Center for Strategic Studies. "Stopping the assault on Aleppo now, when the government forces are just one step away from victory, would have been absolutely illogical. In those seven days of ceasefire that the UN Security Council was proposing, the opposition forces would have strengthened their positions and regrouped. As a result, the assault would have been prolonged, causing more bloodshed. "Now is not the time to weaken the invasion. If the Aleppo problem can be solved in the upcoming weeks, this will make future negotiations on the political regulation of Syria significantly easier," Sotnikov said. According to him, the increasing number of countries that are expressing a desire to avoid the expansion of future diplomatic confrontation with Russia will strengthen Moscow’s position on Syria when it begins negotiations with the new U.S. administration in January.